Camile Leon is a young woman searching for the hidden truth about her absentee father, a mysterious lost necklace, and the details of her early childhood-none of which she can remember. She persistently digs for the truth, but at each attempt, her mother dodges her questions and swiftly changes the subject. Before her mother is able to reveal the truth, something terrible happens, and Camile fears she will lose her mother forever. She also fears that the details regarding her past will remain unknown. Just as Camile loses hope on learning the particulars about her past, she makes a shocking discovery which reveals her entire life has been a carefully constructed web of deceit. Almost simultaneously, she experiences strange occurrences that shred the fabric of her reality. She blames these incidents on her extreme stress and hyperactive imagination. As the lies continue to unravel, startling facts emerge-bringing terrible heartache, confusion, and despair. Camile Leon has lived her life searching for answers about her past. Her father disappeared from her life when she was young and years of her childhood are missing from her memories. Her mother has always been closed mouth about both her father and her lost childhood and Camile has never been able to get much out of her. When she finally presses her mother for answers, her mother falls suddenly ill and Camile begins to wonder if her push for answers was the cause. Shortly after her mother falls ill, Camile discovers a long lost necklace in her mother’s possessions and clues about her past begin to unlock her memories. Camile begins to doubt her sanity and events unfold leading her to the answers she’s been searching for all of her life. 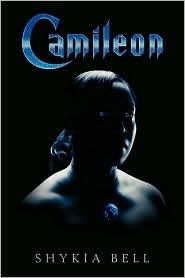 Camileon is the debut novel of author, Shykia Bell. I discovered this book through a friend of mine and fellow book blogger, Reads For Pleasure several weeks ago. She tweeted about receiving a Sci-fi book from a new author and asked if I had heard anything about it since she didn’t read much Sci-Fi. My response was no, but my interest was immediately piqued! It’s always refreshing to find a new African American author writing in fiction in the Urban Fantasy genres and Ms. Bell doesn’t disappoint. 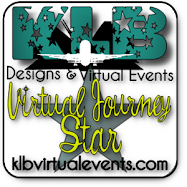 She’s created an original story with a perspective that I found refreshing. Camileon is written in third person POV and there were a few scenes that created the feeling of being told what was going on rather than experiencing the moment by reading it. But it wasn’t too much of a distraction for me to continue to reading. If you’re looking for a unique storyline from an up and coming author, I recommend Shykia Bell’s Camileon. As usual, I don’t like giving away spoilers in my reviews but I will say that Ms. Bell is currently working on the next installment of the Camileon saga and I’m looking forward to it’s release.